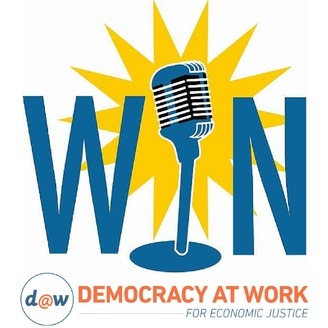 WIN Shorts are special mini-features produced by Democracy at Work for Worker Independent News that highlight select topics from this week's news in the working world. TRANSCRIPT This is special feature is produced by Democracy at Work for Workers Independent News. This is Richard Wolff for Democracy at Work. I am looking at a history of the economic system here in the United States that is having greater and greater difficulties. And nowhere is that more obvious than in our big cities. Many of them, like Detroit, are in extreme states of decline. The one I want to talk about today which teaches us more lessons is the City of Cleveland in Ohio. Recent reports have spoken about Cleveland being revitalized, Cleveland is having a renaissance, Cleveland is back in business. What’s this all about? Well it is mostly a fakery and it’s a fakery that is repeated in other cities so it is worth talking about. The dilapidated city of Cleveland, because that is what it is, let me give you just a few statistics. The household income of Cleveland is half that of the national average. The rate of poverty in the United States, the people living under the poverty line is 14.5%, in Cleveland, 33%. And perhaps the most damning statistic of all, in 1960 the population of Cleveland was about 900,000, last year it was 388,000 they drove the majority of their people out of their city. It’s a collapsed economic disaster zone, that’s why people left. Making a few pretty hotels downtown and restaurants and a few other things for travelers to stay in a hotel and ritzy apartments for the few who can afford them, that’s not an adequate response, that doesn’t deal with the majority of people. It isn’t a democratic response to the real need which is for jobs and job security and job benefits. That’s where the money should go. Not to prettify a tiny corner of a disastrous city. But that is not what’s happening. We are supposed to focus on that downtown, on the pretty trees and the banks and all of that and pretend that it is a revitalized city. It isn’t, and that has to be faced. The only thing worse than that is the news that the money for downtown Hilton hotel is public money from the surrounding county. Shame on the claim that this is revitalized. 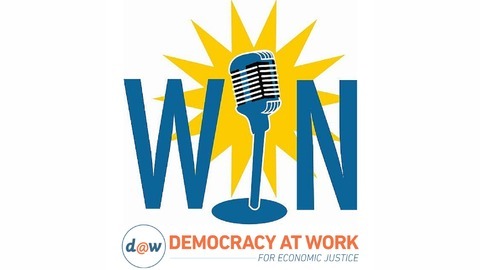 This is Richard Wolff for Democracy at Work, and a special feature for Workers Independent News.